Faces of Asia is a destination management and events company with a difference. Faces of China (offices in Beijing and Shanghai), Faces of Hong Kong, Faces of Singapore and Faces of Thailand are, collectively, Faces of Asia. As a regional powerhouse with a legacy of industry leaders, we are truly the ‘Faces’ of Asia. Bringing you closer to each destination with a single-minded passion, dedicated to creating experiences that connect you to your audience, bringing your events to life. We believe that the secret to success is people. We are enthusiastically committed to understanding your objectives, to push creativity and to deliver excellence in delivery. Working in partnership with you every step of the way, we exercise flexibility to achieve your goals because we care. 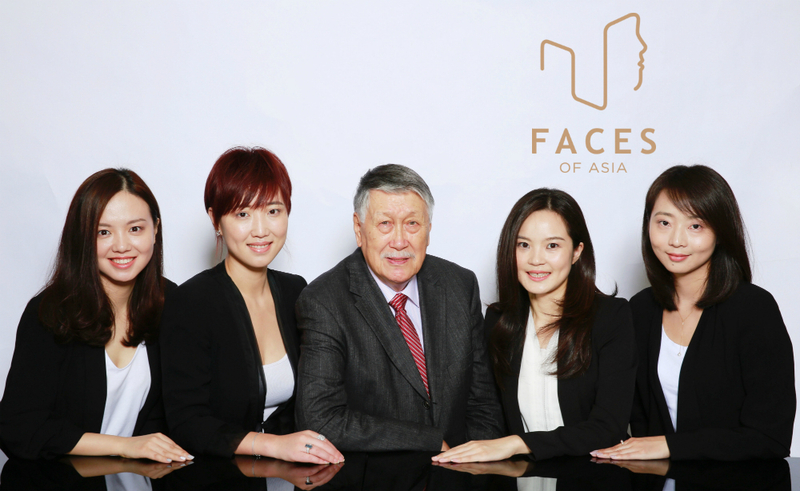 Although Faces of Asia is a new brand with a fresh approach, it is delivered by some of the most established names in Asia’s MICE industry, like Jacques Arnoux, Cindy Zhang, Ivy Sung and Stephanie Ong, who bring a wealth of previous DMC expertise in Asia dating back to 1981. With our unified experience, we have developed strong business relationships with both key industry partners and local authorities covering China, Hong Kong, Macau, Thailand, Singapore, Vietnam, Cambodia & Myanmar. INCENTIVES: FACES offers its extensive and time-tested experience with delivering all aspects of incentive travel services for its incentive houses and corporate clients. CORPORATE MEETINGS: FACES continues to develop concepts for corporate events and conferences for both local and international companies. Some of our comprehensive services include venue search, conference support and logistics management, conference registration, spouse programmes, accommodation management, dine around activities, custom-designed sightseeing tours, sourcing and procurement of thematic gifts and teasers, on-site corporate communications and secretariat services. EVENTS: For the most special events including product launches, award presentations, theme parties and gala evenings, we can recommend suitable venues, conceptualize designs and styles, and produce the event. We also tailor-make and deliver extraordinary events in accordance with the client’s preference and budget. Prop design and creation, entertainment procurement and catering services are all available through FACES including dynamic team building activities indigenous to the destination. OUR EXPERIENCE. We offer unparalleled market insights, knowledge and expertise. OUR CONNECTION. We understand that companies – just like cities – are built on people. For us, it’s the personal and interactive partnership with you in creating your next success story that means everything to us! OUR FLEXIBILITY. We go to the extra mile to exercise flexibility every step of the way, as we understand the paramount importance of being adaptable to changes in an ever-changing event landscape. THE RESULT. We don’t just do, we care. We don’t just follow, we create and share. We don’t just execute, we make one-of-a-kind experiences. At Faces, we do things right, because we believe that’s the right thing to do. Let us bring you closer to Asia!